Change your channel. Change the world. Earth Protect TV will be the On-Demand channel for environmental films inspiring awareness and engagement. 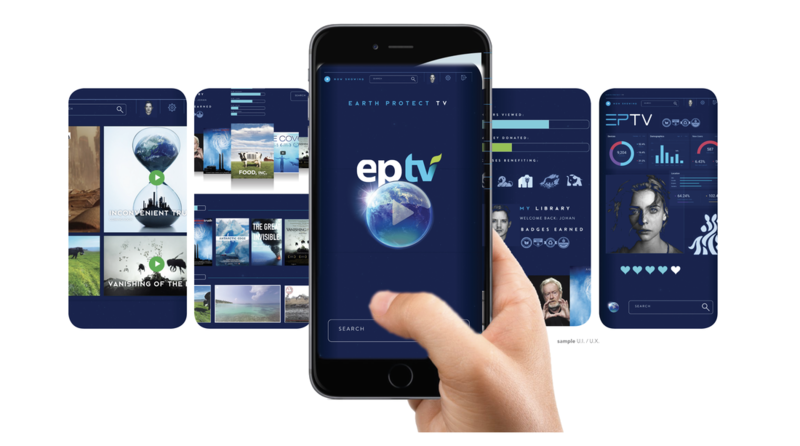 Earth Protect TV transforms viewing into doing. By the simple act of watching TV as you’ve always done, you make a contribution and a difference. Behaviors are hard to change, channels are easy. You don’t just watch the problem, you participate in the solution. ​Watching films about climate change, ocean pollution or animal extinction creates a problem for the viewer. The films do a great job of raising awareness but, also anxiety. Viewers are left anxious and don’t know what to do, or how to take action. ​A new “Philanthropic recycling model” is created that channels money back to the filmmakers and the causes. It's a self-sustaining and entirely-new entertainment eco system. 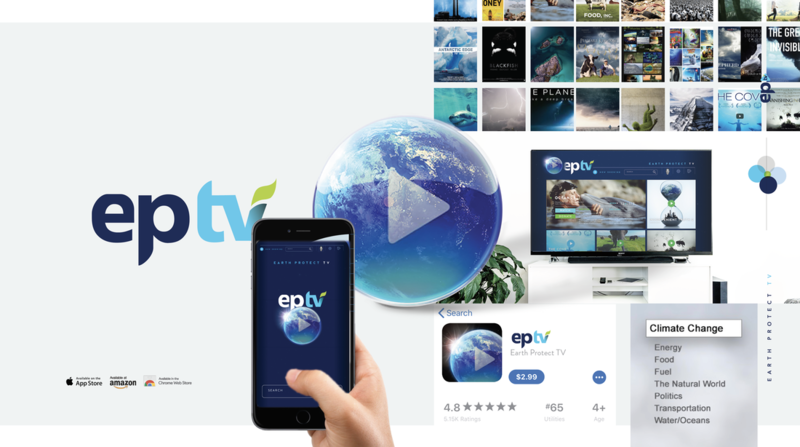 EPTV​ is built on a proprietary Video On Demand technology developed by a preferred Apple developer, making for a unique user experience. Features include 360 video, video games, and geotagging capabilities. EPTV is more than a channel that shows films. It’s the voice of a movement, and will become a force for positive change, human health and sustainability. Purchases and donations will be made in the App, where customers are already signed in. Users will have the option to donate additional funds to NGO partners before or after each purchase. Donations can then be shared on social media promoting EPTV and the nonprofit partner’s cause. Customer rewards inspire further giving.